A South Carolina UPS tractor trailer driver named Roosevelt Green has been driving his rig for more than 40 years – over 4 million miles – and has never had an accident. Four million miles is the distance of eight trips to the moon and back. According to his manager, Green is the safest driver at UPS in South Carolina. He also is one of 60 UPS drivers who have driven with no accidents for 40 years. Also, he is among the top 50 safest drivers in the entire company across the world. UPS started to recognize safe drivers in 1923. Green noted in the above media interview that his regular training and self-discipline have kept him and other drivers on the road safe over the decades. 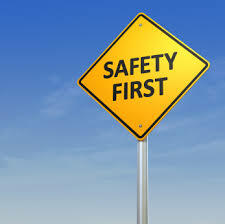 Green also added it is very important to stay rested, keep focused on driving and carefully follow all procedures. We applaud this UPS driver and all tractor trailer drivers who have a long record of safety with no accidents. There is no higher obligation than for truck drivers to drive safely on public roads. Our Virginia and North Carolina truck crash attorneys see far too many truck drivers who do not take public safety nearly as seriously as they should. Innocent drivers who are hit by a tractor trailer can be seriously injured or killed. Anyone who survives such an ordeal will probably have long term, physical problems. Hopefully, other truck drivers will read about this UPS driver’s safety record and take it to heart. For drivers who are injured by careless truck drivers, fortunately they can file a lawsuit against the trucker and the company in civil court and obtain financial damages that can aid their recovery.